Helps to reduce pore size. 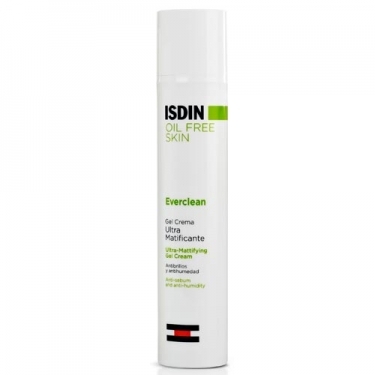 DESCRIPTION: Everclean Ultra-Mattifying Gel Cream from Isdin is a dry touch cream gel that contains microparticles with ability to absorb sebum and sweat. 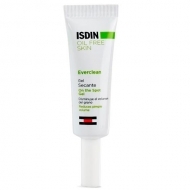 This cream helps to reduce the size of the pores and to normalize the production of sebum. It maintains its action even in extreme conditions (heat, humidity and stress) thanks to Perlite. The Everclean product line with bioselective probiotics enhances the skin's natural defenses, helping to decrease the bacteria responsible for imperfections. Recommended for oily and excessively glossy skin. 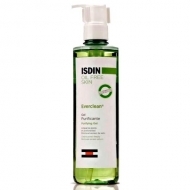 Apply on face clean and dry morning and evening.